Our indestructible 3 point hitch receivers redefine the tractor ballast box. With our receivers, you no longer have to choose between adding weight and adding tools to get the job done. Now you can do both. Just add suitcase weights for counterweight and hook up to any 2” receiver compatible attachment. 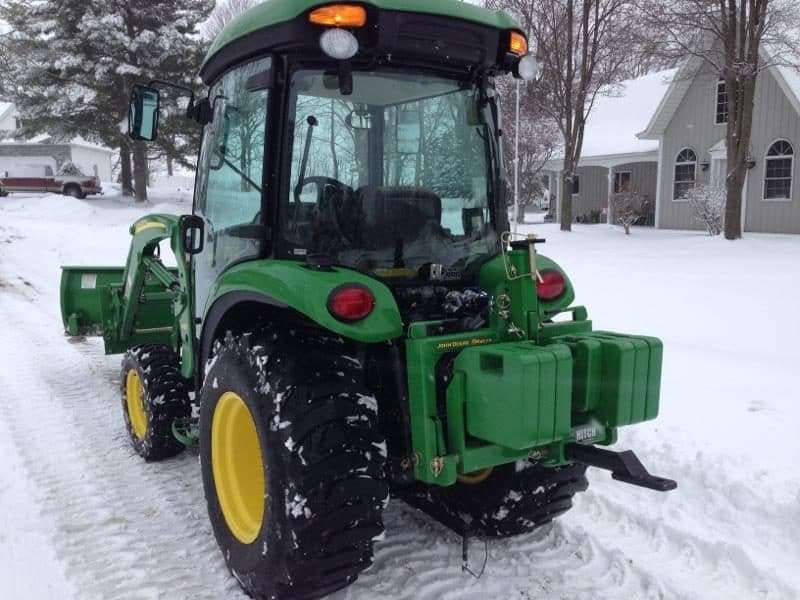 The Category 1, 3 Point Hitch Receiver Drawbar with Offset Suitcase Weight Bracket is made for sub compact tractors and compact utility tractors up to 45 horsepower and is built to the ASE Standard S278.5. This 3 point hitch receiver has a 3.5” wide offset weight bracket to the side of the receiver, allowing taller weights to be used (weights are allowed to hang down past the lower tube). It comes with 7/8″ lower pins and uses a 3/4″ top pin. It also allows up to eight suitcase weights to be attached in either direction, forward or back, depending on clearances. 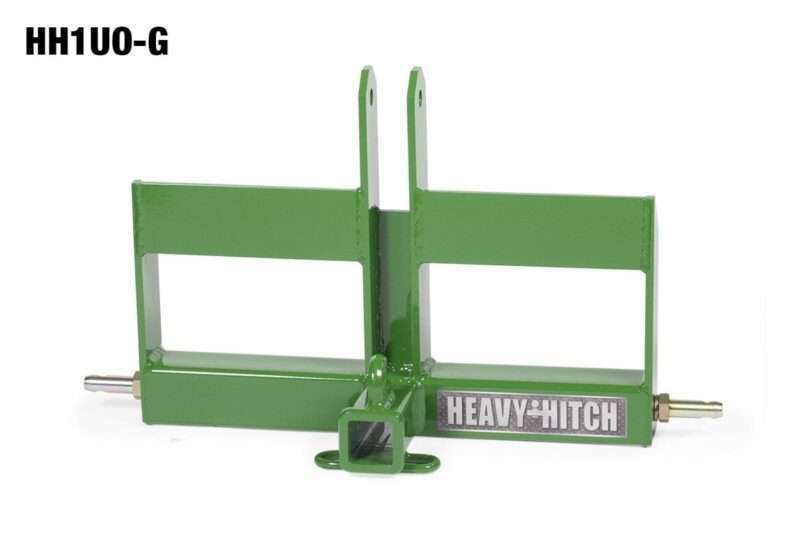 This super duty hitch has 3/16” wall thickness on the lower 3×3” square tube opposed to ⅛” on the regular; also includes a welded on 3/8” chain hook. Plus, it has a 2 inch receiver hitch for more pulling options. If you intend to only use 42# suitcase weights, use this hitch instead. Kubota part #BL8060, 55 pound suitcase weights. John Deere part #R66949 or #R66949Y, 42 pound suitcase weights. John Deere part #BM19780, 70 pound suitcase weights. Other comparable weights from Massey Ferguson, John Deere, Case International, New Holland and more.